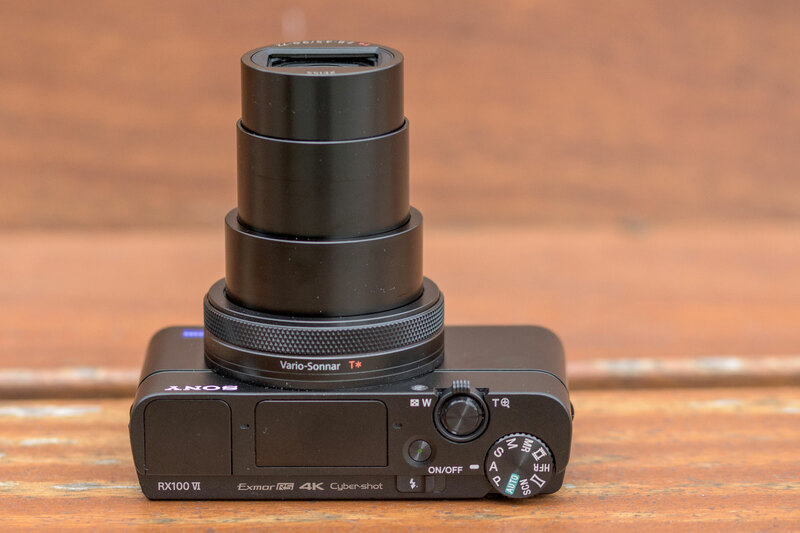 While the RX100 IV uses a different lens to its predecessor, in other respects Sony has recycled pretty much exactly the same design. This, however, is a mixed blessing. On the positive side, the metal-shelled body feels reassuringly robust, and the smooth, clean lines make it easy to slip into a pocket, aided by the top-plate controls all being flush to the body. Both the flash and viewfinder pop up from the top plate, released by mechanical switches; it’s astonishing Sony has managed to fit them in. It’s just a shame Sony can’t make the camera weather-sealed like the Canon G1 X Mark III. That smooth body has its drawbacks, though: as usual for an RX100, it has all the assured handling of a bar of soap. 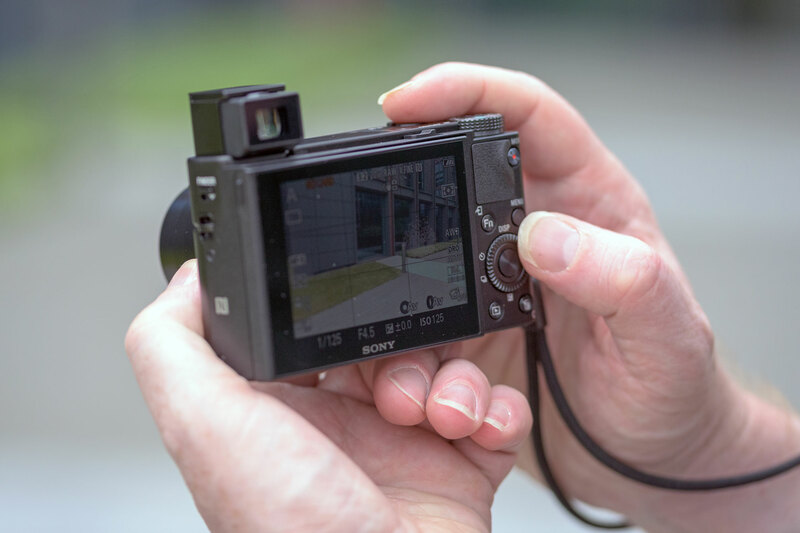 At the very least you’ll need a wrist strap to save the camera when it inevitably slips from your grasp, and I’d strongly advise adding the stick-on Sony AG-R2 grip, or one of the multitude of third-party alternatives. But it’s ridiculous that you need a £14 accessory just to be able to hold the thing securely. The grip adds nothing to the camera’s size, so should be built-in from the start, or at least included in the box. 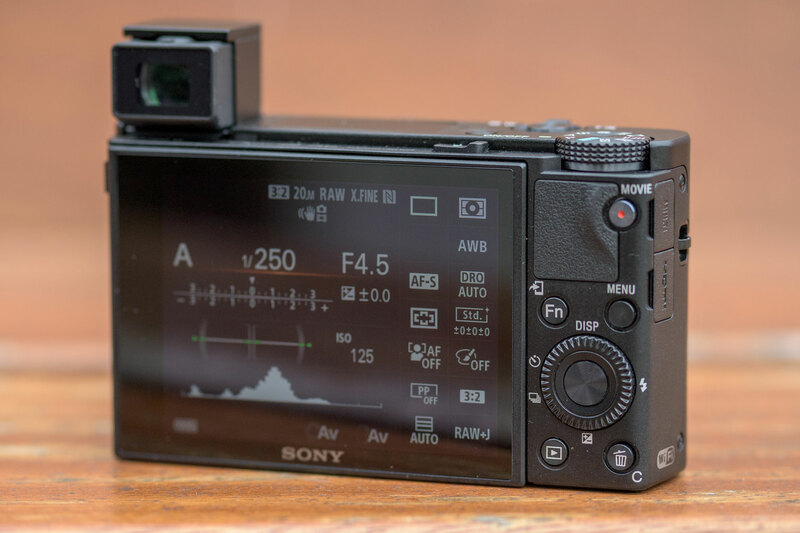 When the original RX100 appeared, the excitement of seeing a relatively large sensor in a body design copied from Canon’s excellent PowerShot S series was tempered by the fact that Sony had managed to make a complete mess of the control logic. Six years and five generations later, it’s still a pretty horrible thing to use. A good camera should get out of your way and make it easy for you to change all the key settings, but with the RX100 VI, I usually felt like I was fighting against it instead. 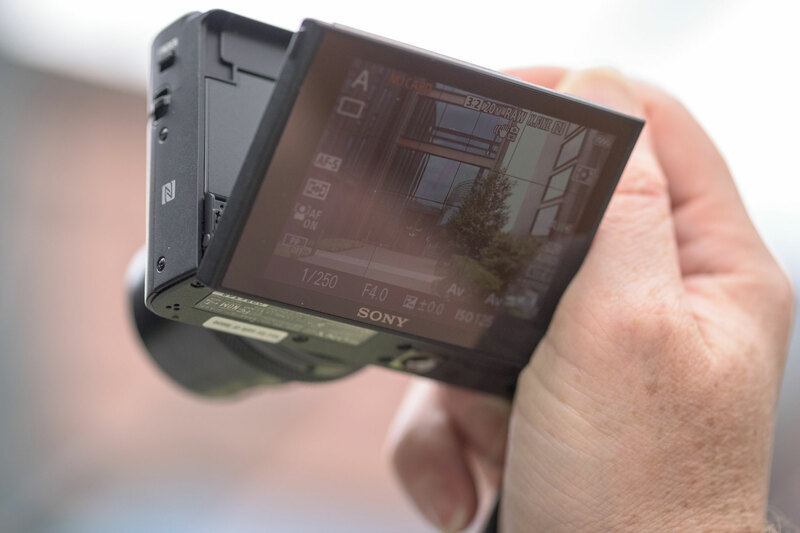 At least Sony has now added a touchscreen, meaning it’s finally possible to select the focus point quickly when you’re shooting with either the screen or the viewfinder. You can also double-tap to zoom into images during playback, and then scroll around them to check focus and detail. But it doesn’t do anything else: you can’t even change any shooting settings or make menu selections by touch. Compared to Canon and Panasonic’s fully-integrated touch interfaces, this just feels lazy; it’s as if the iPhone never happened. As a result, most of your interaction with the camera comes via the physical controls. They get the job done, but they’re far from brilliant. The buttons on the back are small and fiddly, and being flush to the camera’s surface, near-impossible to locate by touch with the camera held to your eye. The rear dial doubles as a 4-way d-pad, but while it’s one of the better examples of its type, it’s uncomfortably placed for viewfinder use compared to the TZ200’s top-plate dial, which falls much more naturally under your thumb. Likewise the key manual controls of exposure compensation and ISO are located on the ‘down’ button of the d-pad and the C button at the camera’s lower right corner, as far away from your thumb’s resting position as they could possibly be. So it takes lots of right-hand contortions just to change basic exposure settings: on a sensible camera these controls would be placed at your fingertips. 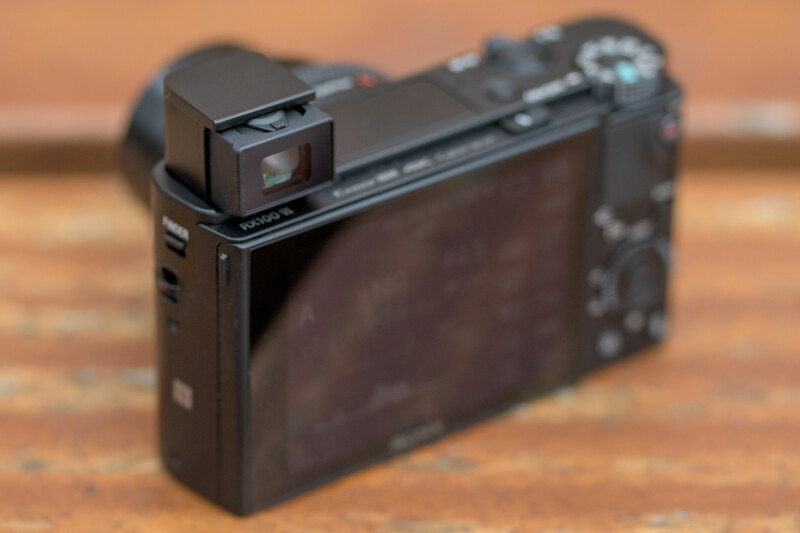 Like most modern compacts, the RX100 VI also has a control ring placed around the lens. Out of the box it mostly does the same thing as the rear dial, which doesn’t make much sense. Luckily you can customize it to operate other functions instead; I set it for exposure compensation. Unfortunately, being smoothly-rotating it’s not very satisfactory for changing exposure settings, as the lack of any tactile feedback precludes quick ‘count the clicks’ changes, while also making it easy to knock inadvertently. This stands in stark contrast to Canon’s similarly-sized PowerShot G7 X Mark II, with its large buttons and excellent switchable clicked / clickless lens dial. Sony highlights the fact that the zoom speed is customisable, but even at its standard setting, I found it just a little faster than ideal for precise composition. The alternative setting is even quicker, and while this will get you from wide to telephoto very rapidly indeed, it won’t let you hit any intermediate point with the faintest degree of precision. As is often the case you can get finer control of the zoom by assigning it to the lens dial, but then changing exposure settings becomes even more of a trial. Secondary functions are accessed from the well-implemented onscreen Fn Menu. It’s clearly laid-out and quick to use, and can be customised for stills and video independently, which you’ll almost certainly want to do. This will let you minimise trips into the huge, poorly-organised and often cryptically-labelled menu system. Thankfully you can now build a list of your most-used settings in the My Menu section. You can also save shooting configurations for recall from the MR position on the mode dial, which is equally well worth setting up. 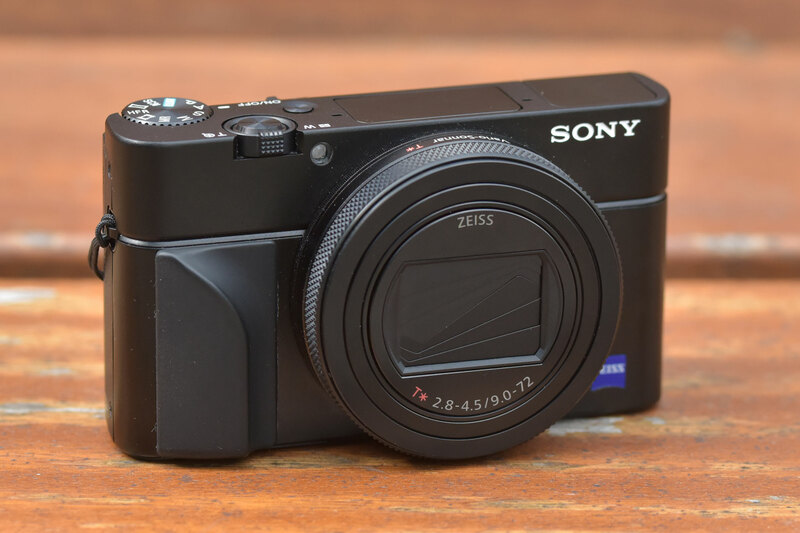 After using it for a few weeks, though, I have to conclude that the RX100 VI’s high-end aspirations have completely outgrown its body design. If you’re prepared to treat it as a glorified point-and-shoot, with zoom and exposure compensation your main creative controls, then it works OK. But Sony really needs to work out a way of making all its clever technology much easier to access, and ideally rework the control setup completely. One area where the RX100 VI has a real edge over its biggest rival is when it comes to composing your images. Not only is its pop-up EVF rather larger than the Panasonic TZ200’s corner-mounted example, its screen tilts too, while the TZ200’s is fixed in place. In fact its degree of movement is unusually large: a double-hinged design means it can tilt 90° downwards for overhead shooting, or 180° forward for selfies or vlogging. The screen’s main failing is that it’s not especially bright, so unlike the TZ200’s it’s not very usable in direct sunlight. A super-bright Sunny Weather setting is available to help with this, but requires a trip to the menu to activate – I’d add it to the My Menu. It also has a slight colour cast in the highlights, which is particularly visible when playing back black & white images. Popping-up the viewfinder also turns the camera on, which makes perfect sense. Unfortunately pushing it down again turns the camera off, which is irritating given that you probably just wanted to use the screen instead. Thankfully you can disable this behaviour, but only by trawling through the menu to decipher ‘Function for VF close’ and set it to the obliquely-titled ‘Not Power OFF’. On a more positive note, the viewfinder itself is really very good: the 2.36-million-dot OLED is bright and clear, and its 0.59x equivalent magnification matches many mid-range DSLRs or mirrorless cameras. 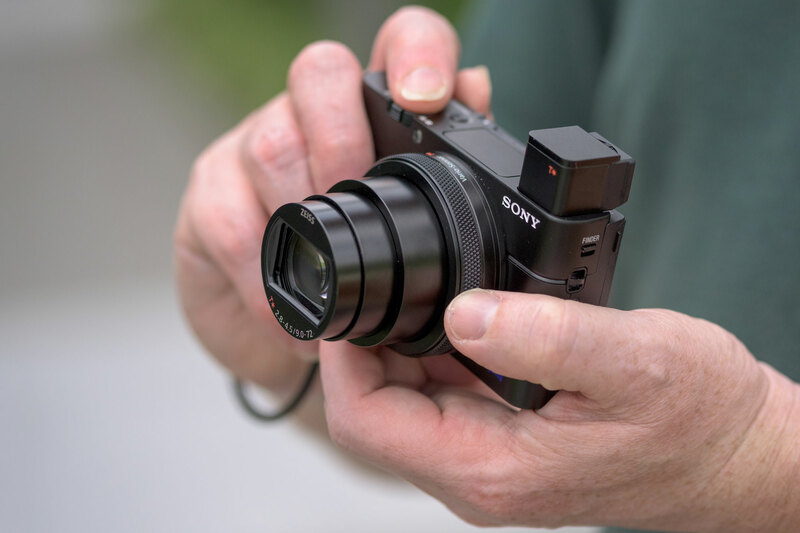 Its design is a considerable improvement on previous RX100 generations too, as you no longer have to pull out the eyepiece after popping-up the EVF, or retract it before pushing the finder back down. This makes a surprisingly large improvement to the experience of using the camera. But I still prefer using a finder that’s fixed in place and always available, and on countless occasions I put the camera up my eye only to find the viewfinder wasn’t there.